Delivering a comfortable and spacious travel experience, our elegant high-end sedans are a popular choice for business and frequent travelers. An achievement in comfort and confidence, the XTS Sedan is crafted to exceed your every expectation. With an assertive engine, confident handling and a spacious and comfortable cabin, every drive in the XTS is truly a refined experience. Chiseled beauty, everywhere you look. With its sleek lines, sculpted surface and powerful stance, the XTS is an undeniably striking presence. 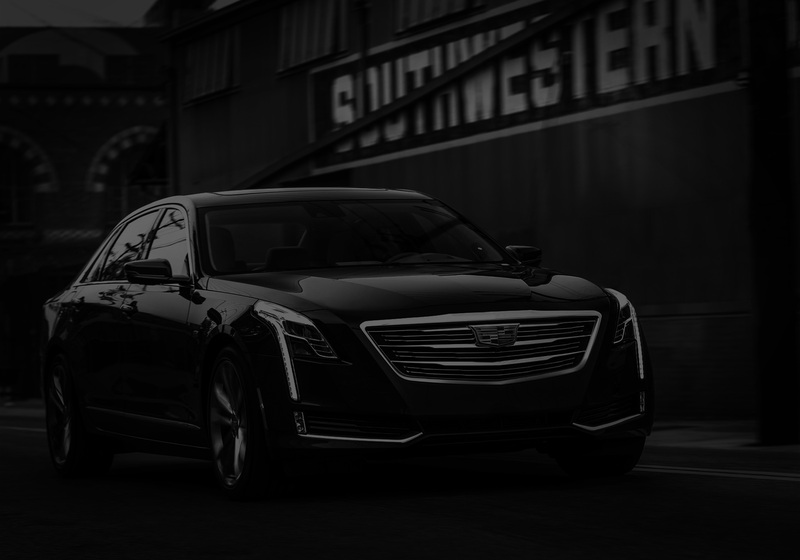 The CT6 pushes the envelope for performance, technology and craftsmanship. Innovatively engineered and meticulously appointed, it exudes substance and style. This is the prestige sedan, reinvented. Strength and style are complemented by a powerful stance and iconic vertical lighting. Lines, curves and sweeping planes seamlessly mesh to create a look that is both hard to resist and impossible to mistake. 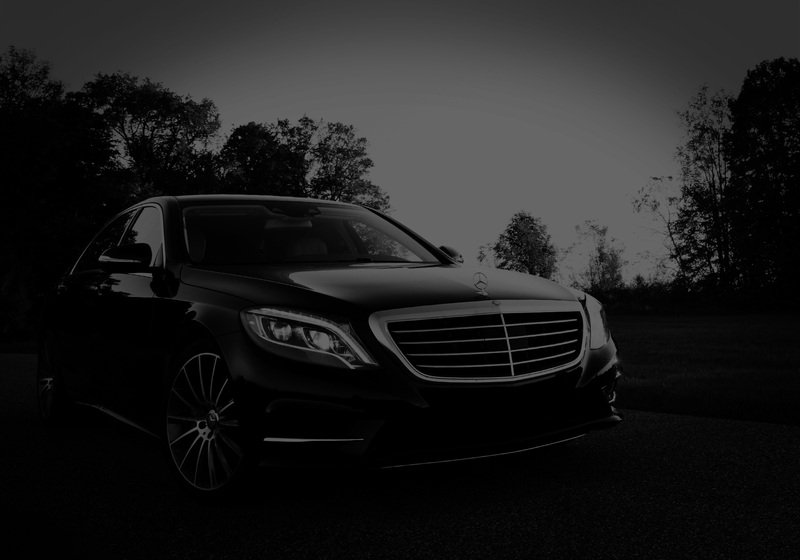 Our fleet is proud to feature a line of premium luxury sedans. Supremely crafted they provide all the amenities our top executive clients appreciate. Encapsulating everything we know about performance, luxury, safety and design, the S-Class serves as the flagship for an entire industry. From its bi-turbo V-8 performance to its class-leading innovations in safety, luxury and driver assistance, the S-Class is a marvel of engineering wrapped in a masterpiece of modern design. For generations, it has been instantly recognizable not just for its iconic beauty, but for predicting the future of the automobile. A full-size, extended-length sport utility vehicle designed for a private and comfortable ride and perfect for transporting small groups. 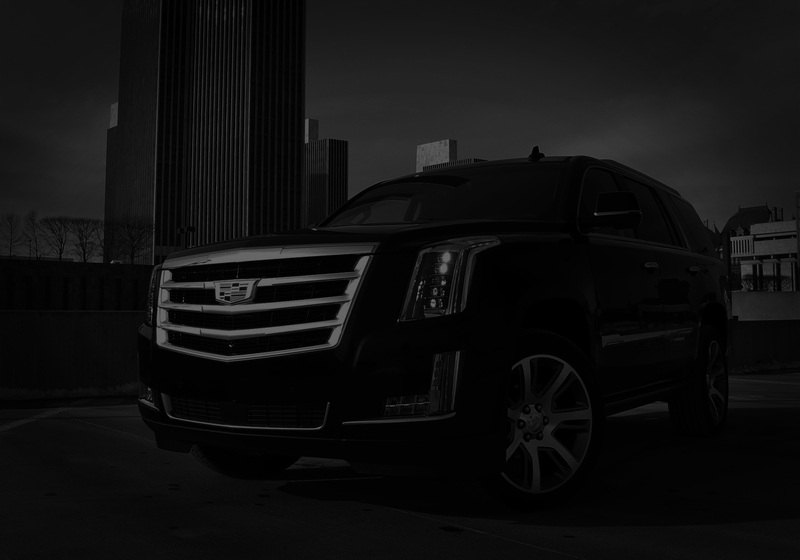 The Chevrolet Suburban combines the utility of a truck, versatility of an SUV and amenities you’d find in a luxury vehicle. It's enormous, with a massive steel ladder frame under it for maximum strength. The interior features sophistication and comfort, so every drive you take can be a relaxing one. Every version comes powered by GM's legendary V8 engine. 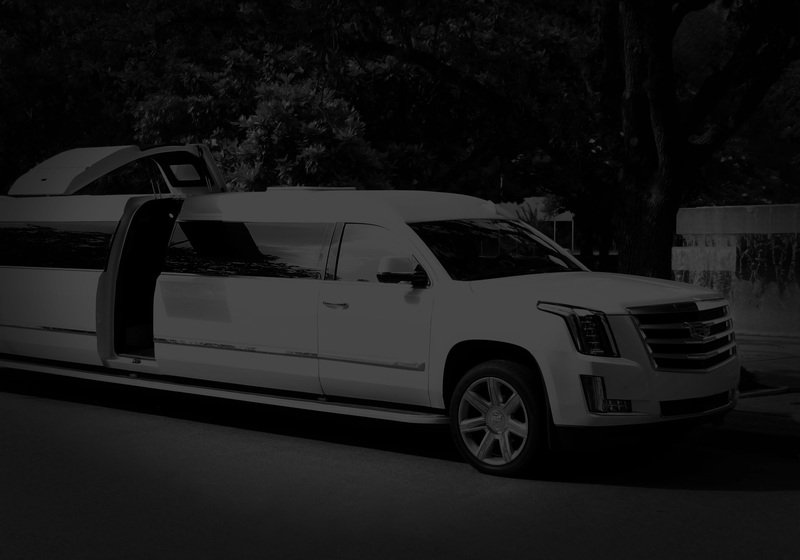 The stretch limousine is a stylish and elegant choice for executive corporate transportation or simply enjoying a special night on the town. 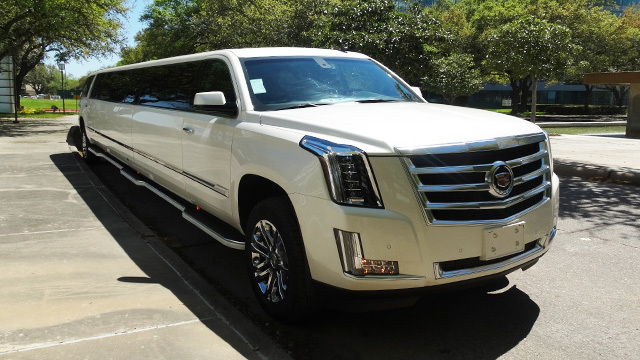 Handsomely appointed and equipped with entertainment systems, privacy dividers and mood lighting, our super stretch limousine provide an elegant and comfortable transportation experience for up to 20 passengers. Crystal glasses, decanters and choice beverages are just some of the amenities available to satisfy our patron's unique needs. 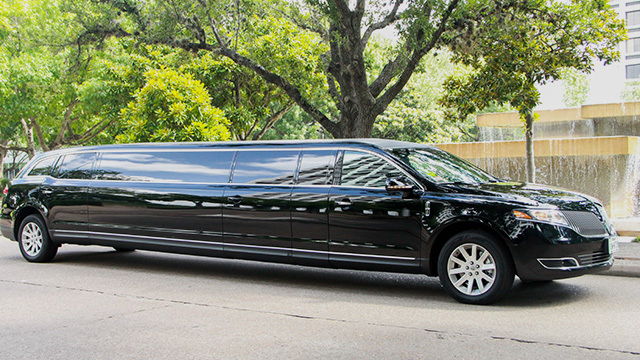 Handsomely appointed and equipped with entertainment systems, privacy dividers and mood lighting, our stretch limousine provide an elegant and comfortable transportation experience for up to 12 passengers. Crystal glasses, decanters and choice beverages are just some of the amenities available to satisfy our patron's unique needs. Ample rear luggage storage and thoughtful cabin amenities makes our luxury van suitable for transporting small groups. 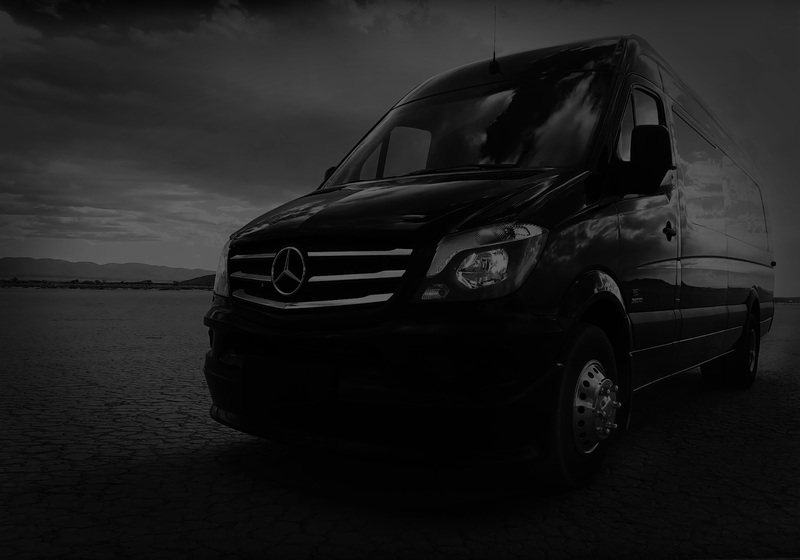 The new Mercedes-Benz Sprinter sets new standards in safety, quality, spaciousness, and reliability, while giving you everything you expect from a Mercedes-Benz. Whatever you transport, efficiency is already on board. 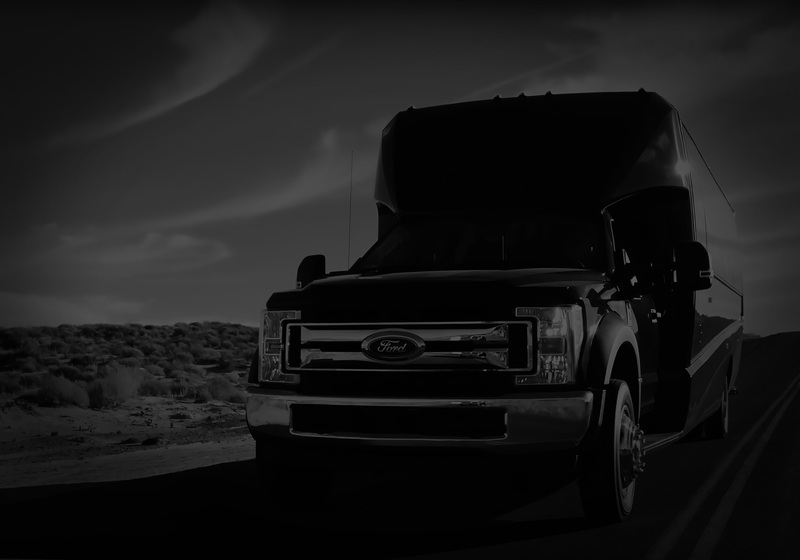 The Sprinter features a sophisticated V6 CDI diesel engine that offers both ample power and tremendous fuel economy as well as legendary durability. A perfect choice for company outings and social events, our minibuses and coaches have plenty of seating for your colleagues and guests. Panoramic front viewing window; Frameless coach windows - Electric plug entry door; DVD player; Premium rear audio Roof-mounted HVAC; Altro wood-look flooring; LED interior / exterior lighting; Passenger retractable seat belts; Plus many more standard items. Panoramic front viewing window; Frameless coach windows; Electric plug entry door; DVD player; Premium rear audio; Roof-mounted HVAC; Altro wood-look flooring; LED interior / exterior lighting; Passenger retractable seat belts; Plus many more standard items!. We know your investment, passengers’ safety, and peace of mind are top priorities. A product of those priorities, a Prevost coach is the ultimate partner when you are looking for a premium touring transportation.